On September 28th, 2016, BlackBerry announced it will no longer produce its own handset hardware, following a $372 million USD Q2, 2017 net loss. Now, CEO John Chen has uploaded a blog post to the company’s website further explaining the decision. 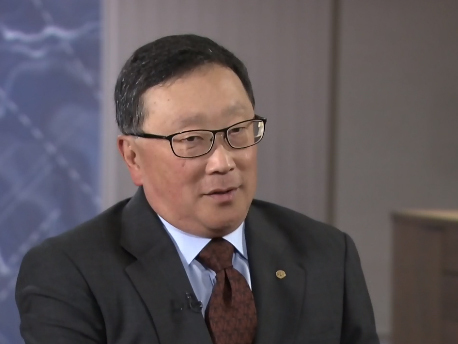 “BlackBerry is no longer just about the smartphone, but the smart in the phone,” Chen states in the post. Here Chen is alluding to BlackBerry’s decision license its software and brand, leaving hardware development to third party OEMs. “Through this strategy, there will continue to be BlackBerry-branded devices in the market; when you see our logo it means security, from our class-leading enterprise software to devices secured by BlackBerry software,” adds Chen. As examples of the ongoing strategy, he references the company’s recent release of the TCL Corporation-made DTEK50, and the fact it recently made its Hub, Calendar and Password Keeper applications available to all Android users. Chen wraps up the article by teasing the release of BlackBerry’s newest iteration of its OS, BB 10.3.3, and assures current customers they will see continued support and repairs of in-market BlackBerry devices. The full post is available to read here.